Understanding the mechanics of the stochastic oscillator may help you identify when a stock is overbought or oversold. At first glance, the term “stochastics” looks like something out of a 10th grade math book—it seems vaguely familiar, but you don’t really know what it means. And if that’s the case for you, you’re not alone. Even some veteran traders have a hard time understanding the mechanics behind this technical indicator. 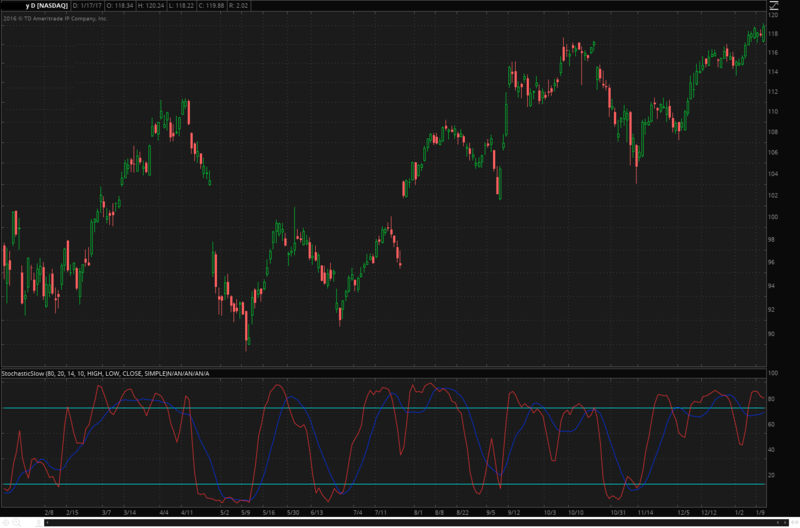 So let’s break it down and look at how stochastics can be incorporated into your trading. 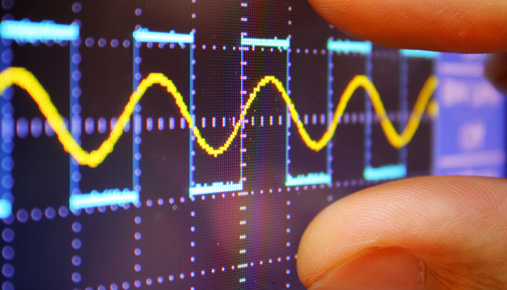 Stochastics belong to a group of technical indicators called oscillators. Not unlike the better-known oscillating fan, they move back and forth from one side to the other over a period of time. In technical analysis, an oscillating indicator measures the price range of a stock, commodity, currency, or other tradable asset based on a user-defined time frame. The stochastic oscillator is a momentum indicator that was created in the late 1950s by George C. Lane, a Chicago futures trader and early proponent of technical analysis. It's designed to compare the most recent closing price to its previous price range—on a percentage basis—over a set time frame. The stochastic oscillator has a minimum value of zero and a maximum of 100. A stock is considered overbought when the indicator goes above 80 and oversold when it drops below 20. Sometimes, depending on the characteristics of an asset, let’s say a stock, a trader may modify those overbought/oversold settings to better capture turning points. See figure 1 for an example of a stochastic oscillator, including the K% line (red), the %D signal line (dark blue), and overbought/oversold ranges of 80 and 20 (light blue horizontal lines). FIGURE 1: OVERBOUGHT OR OVERSOLD? The stochastic oscillator can show where a stock may have gotten ahead of itself—to the upside as well as the downside. Image source: the TD Ameritrade thinkorswim® platform. For illustrative purposes only. Past performance does not guarantee future results. There are three main stochastic oscillators: slow, fast, and full. The difference between the fast and slow versions is simple—one is more sensitive than the other. Think of the fast stochastic oscillator as a speedboat, able to change directions quickly amid rapidly changing conditions, while the slow stochastic oscillator is more like a yacht, taking more time to change course. The full stochastic oscillator is a version of the slow stochastic oscillator that can be fully customized by the user. Some traders say that stochastics, because of their sensitivity, can be a good indicator to use when a stock is trading in a range, but that using stochastics while a stock is in a strong trend can often produce inconsistent and false signals. One way to avoid this is to use moving averages to filter out specific individual stocks that are trending strongly before using a stochastic oscillator. However, the slow stochastic oscillator can sometimes be used to signal the beginning of a trend change when combined with other technical triggers. For example, if the indicator crosses up from below the 20 level at the same time that a reversal pattern occurs on a candlestick chart, it may be a strong sign that the trend is changing. Slow, fast, or full, stochastic oscillators each have their own individual traits that can be exploited to your benefit. It may, however, require a bit of testing and experimenting with the values in order to customize the indicator to best fit your style of trading. *Investools® 7-day free trial is valid for new Investools clients only. Offer is available through December 31, 2016. New Investools clients are able to select a free 7-day trial for either the Stock Investing course or the Income Investing course. Investools reserves the right to restrict or revoke this offer at any time. This is not an offer or solicitation in any jurisdiction where Investools is not authorized to do business. A valid email address is required to participate. Please allow 1 week from requesting the free trial to receive an email from Investools® with information on how to access your 7-day free trial. The 7-day trial includes access to either the Stock Investing or Income Investing online course, online and in-person workshops, one-to-one coaching, online coaching, Investor Toolbox®, and Trading Rooms®. After the 7-day trial ends, you must subscribe to maintain access. Cost for the Stock Investing course for non-TD Ameritrade clients will be $699. Cost for the Stock Investing course for TD Ameritrade clients will be $499. Cost for the Income Investing course for non-TD Ameritrade clients will be $2,199. Cost for the Income Investing course for TD Ameritrade clients will be $1,549.